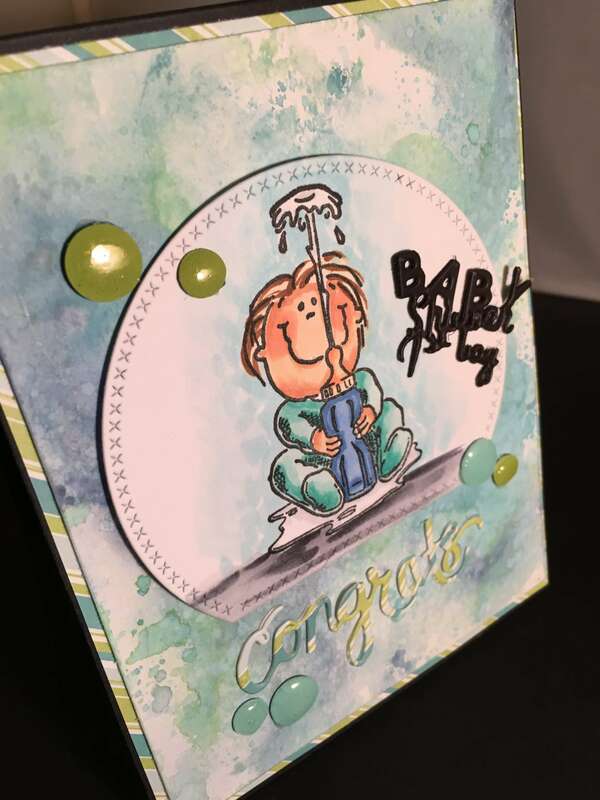 You are here: Home / Scrappy / I Brake for a Baby..
It’s Crystal here and today I made a baby shower card using the adorable Baby and Bottle image from the I Brake for Stamps online store. 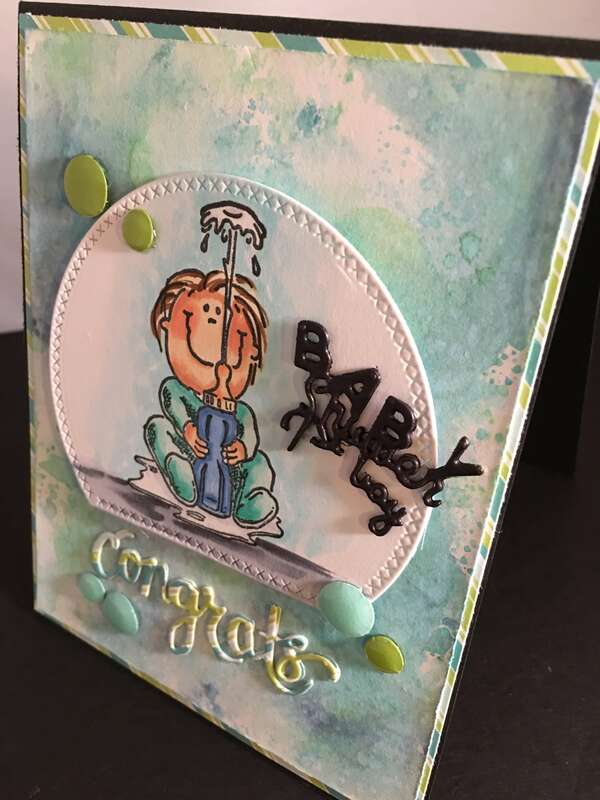 the background layer is made with the Distress oxide inks in Broken China , Faded Jeans and Cracked Pistachio , the image was copic colored and die cut with a half circle , I added a few enamel dots and I die cut my sentitments and double layered them up for a stand out thicker sentiment. 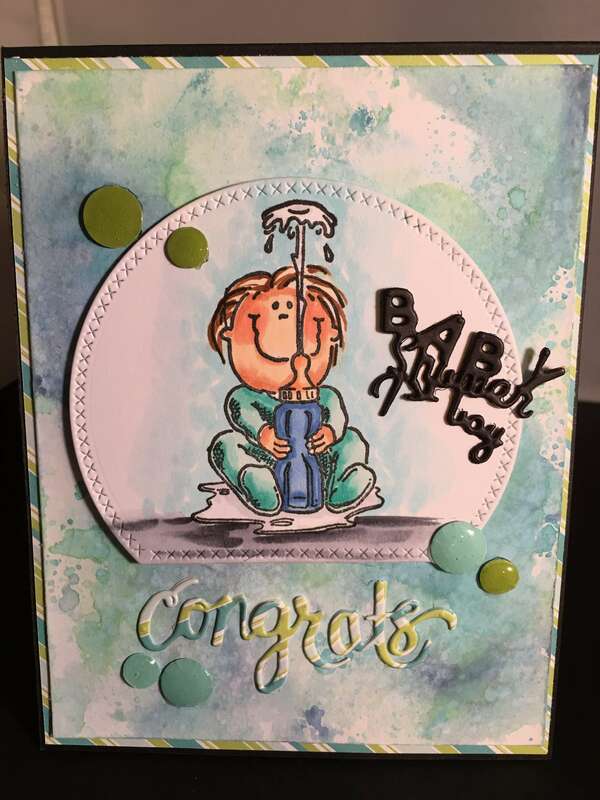 I hope you get a chance to go check out all the great images in the I Brake for Stamps store , it’s full of so many great images.